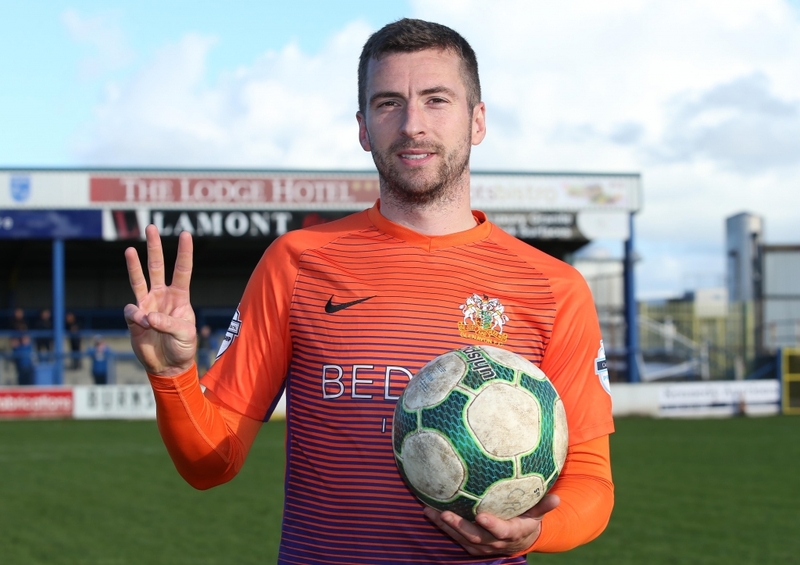 Stephen Murray scored his second hat-trick of the season on Saturday as Glenavon produced a vintage performance to beat Coleraine 4 – 1 at the Showgrounds. Glenavon Stephen Murray with the match ball after scoring a hat-trick against Coleraine. 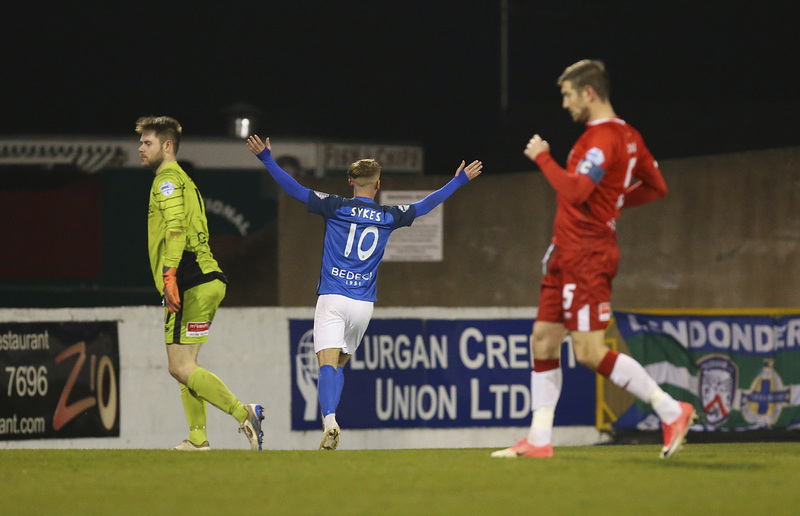 The victory saw the Lurgan Blues extend their lead at the top of the table to four points over second-placed Linfield and ended an 11-month unbeaten league run for the Bannsiders. Aarons Burns opened the scoring for the home side in the 24th minute when he headed in Darren McAuley’s cross. Glenavon equalised on 31 minutes through Rhys Marshall, then scored again less than a minute later to take the lead when Murray grabbed his first of the game. The in-form striker added two further goals in the second half to complete his hat-trick and wrap up an excellent away win for Gary Hamilton’s side. The visitors probably shaded the opening quarter of the game without creating any clear-cut chances, but it was the home side who went ahead against the run of play on 24 minutes. Burns held the ball up on the edge of the Glenavon penalty area before feeding it wide to McAuley. Marshall got a good tackle in on the winger initially, but McAuley retained possession and twisted and turned to create space for himself to deliver a cross. He picked out Burns in the box and his header found the far corner. Jonathan Tuffey then had to dive to his left to save a Jamie McGonigle shot from 20 yards in the 29th minute after the striker had cut inside Dylan King. 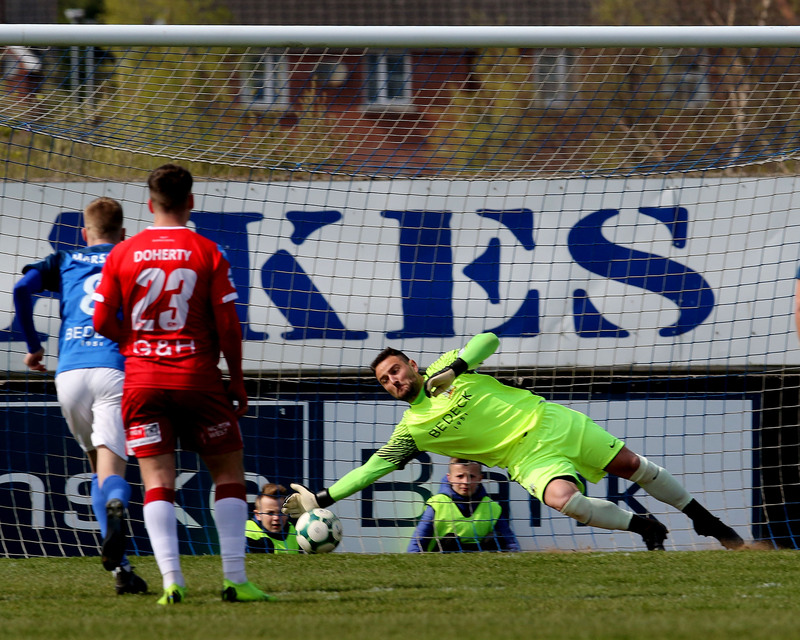 Glenavon turned the game on its head in the space of less than a minute on the half-hour mark. Mitchell sent a free-kick into the penalty area from the right. 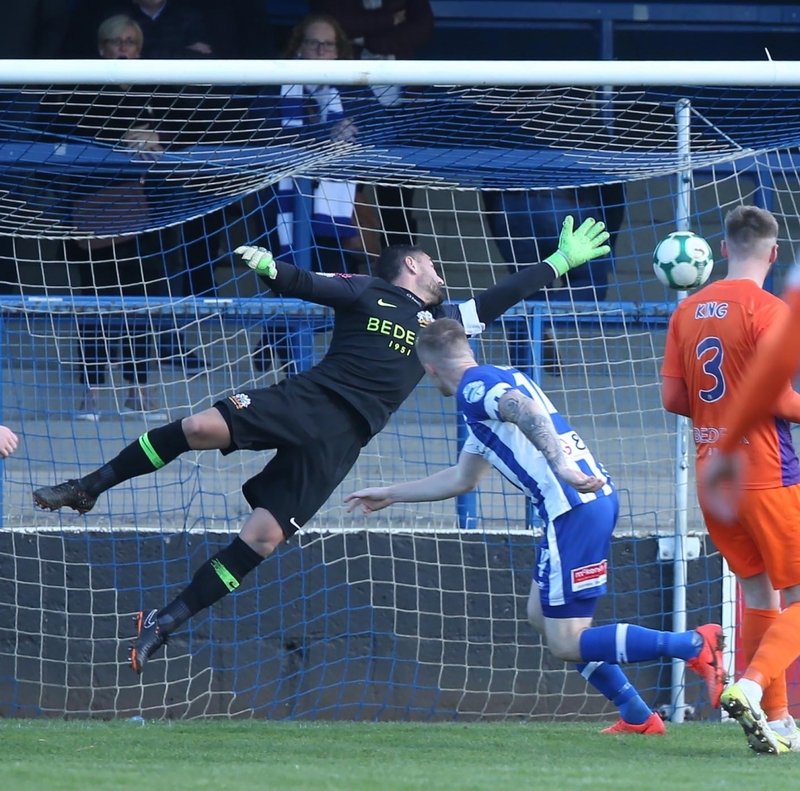 Andrew Hall rose to challenge for the ball with Coleraine goalkeeper Chris Johns and it broke kindly at the back post for Marshall who had the simple task of tapping into an empty net for the equaliser. 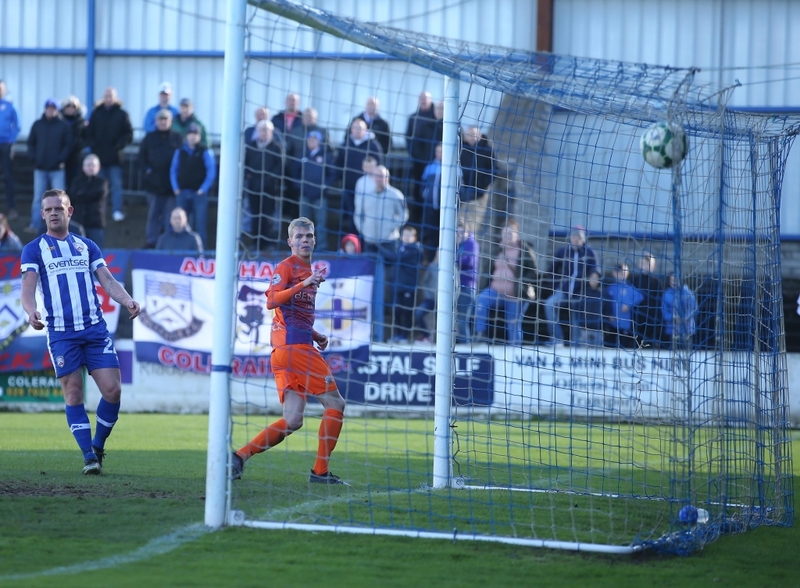 Glenavon Rhys Marshall scores a goal against Coleraine. From the restart Josh Daniels won the ball back from Coleraine captain Stephen O’Donnell with a robust challenge. The ball fell to Mitchell, who played a one-two with Murray before spreading the play wide to Hall on the right. The winger’s trademark cross picked out Murray at the back post and he headed in to put Glenavon ahead. With their tails up, Glenavon really should have added to their lead before the break. First Mark Sykes set off on a dazzling run and fired a low shot wide of the left-hand post, then Murray dragged his shot wide after he’d been played in by Hall. At the other end, Burns saw his shot from a narrow angle turned behind by Tuffey, then McAuley scuffed a volley wide from the resulting corner. But the best chance at the close of the first half fell to Mitchell, who was played in by Ben Doherty. As the striker was bearing down on goal Johns came out to meet him and quickly narrowed the angle before making a smart save at Mitchell’s feet. 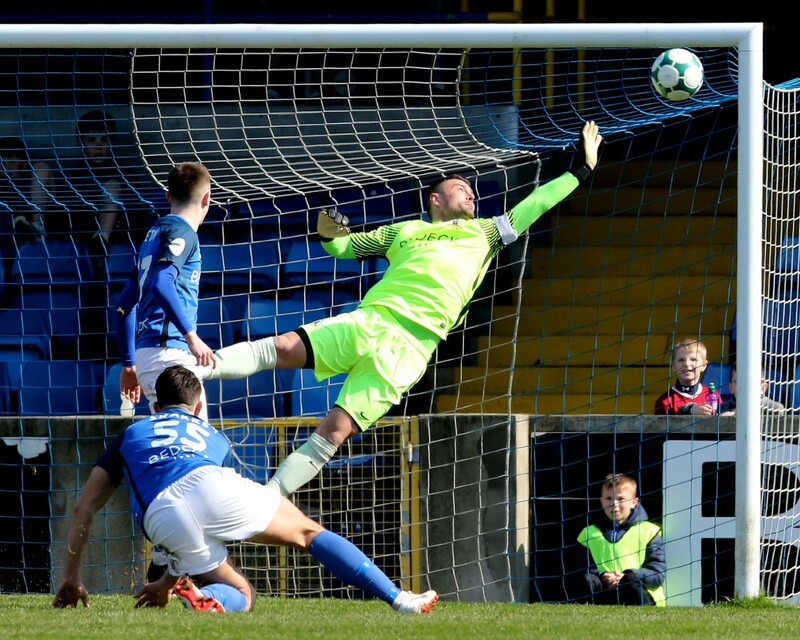 In the first minute of the second period Burns shot straight at Tuffey, while the visiting supporters thought Mitchell had scored Glenavon’s third two minutes later when he turned and fired a shot in which went narrowly wide of the near post and hit the side-netting. 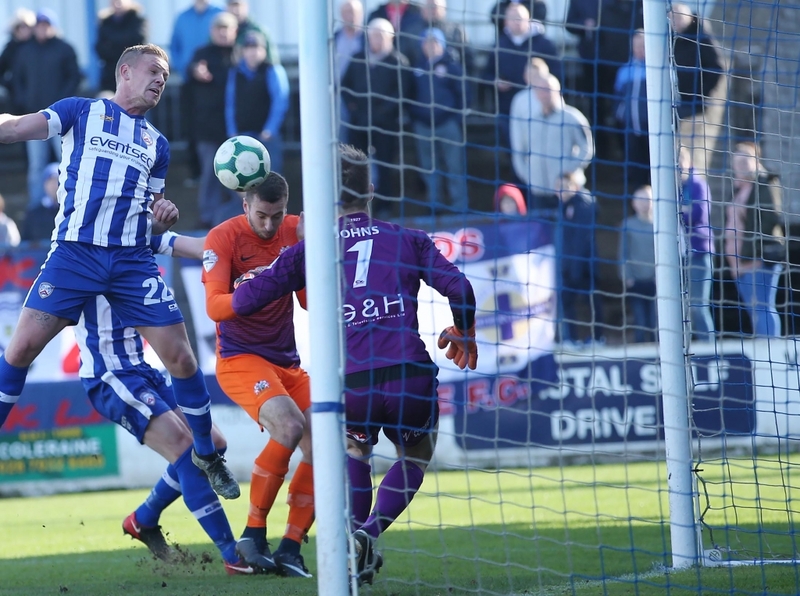 Coleraine midfielder Ciaron Harkin really should have at least hit the target in the 58th minute when he met McAuley’s cross, but he sliced his first-time shot narrowly wide of the far post. Glenavon doubled their lead on 60 minutes when Murray grabbed his second as he finished off a slick counter-attacking move. Sykes cleared the ball out of his own penalty area and Daniels flicked it on with his head. Mitchell then flicked another header over Gareth McConaghie which Murray latched onto. The striker carried the ball into the penalty area before steadying himself and steering a low shot inside the far post to put the Mourneview men in control. Murray completed his hat-trick less than 10 minutes later. 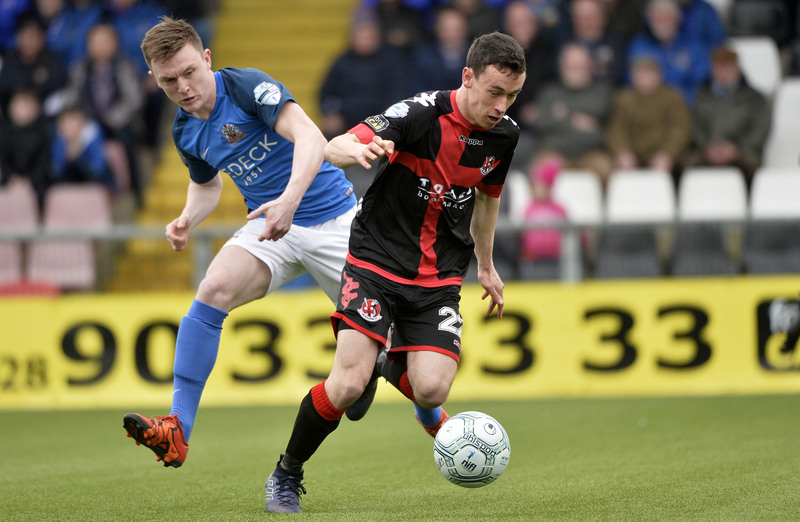 Tuffey picked out Daniels with a long free-kick and the winger’s header found the feet of Murray on the edge of the Coleraine penalty area. With his back to goal, Murray turned inside O’Donnell before striking a low shot with his right foot which left Johns rooted to the spot and found the bottom corner. Glenavon Stephen Murray celebrates his hat-trick goal against Coleraine. 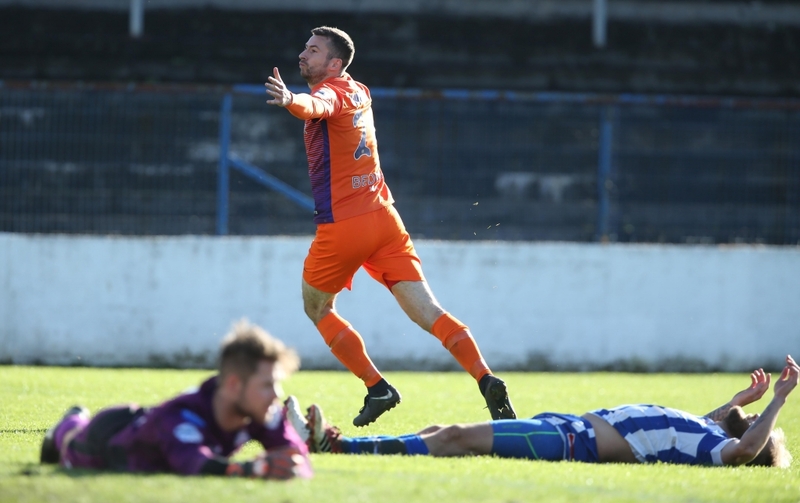 The Glenavon striker now has nine league goals so far this term, and is just two behind Cliftonville’s Joe Gormley in the race for the golden boot. Saturday’s victory sees Glenavon move four points clear of Linfield at the top of the table. 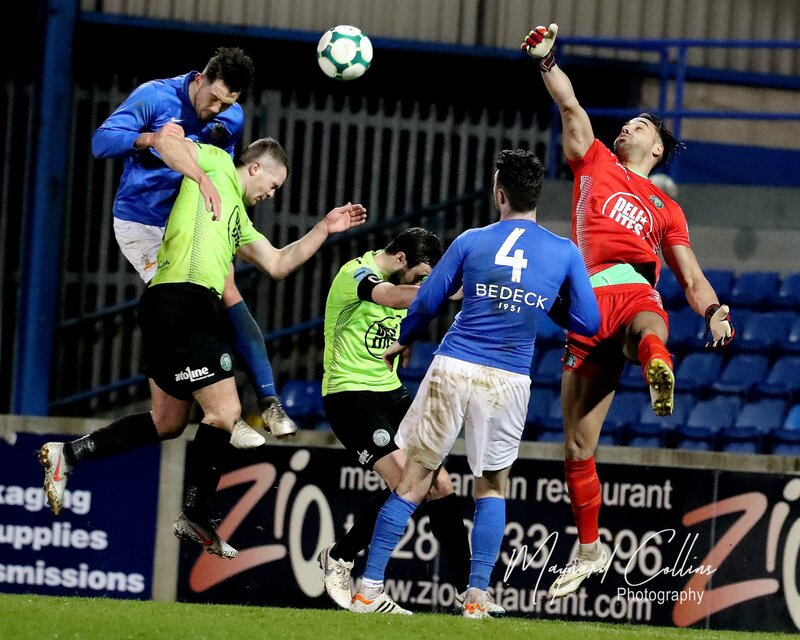 However, the Blues will have an opportunity to cut their deficit back to one point when they take on Glentoran in the Big Two derby on Monday night. Glenavon were scheduled to host Cliftonville next Saturday, but that game has been postponed due to international call-ups, meaning the Lurgan Blues will next be in action on Saturday October 20th when they travel to the Oval to take on Glentoran (kick-off 3pm).